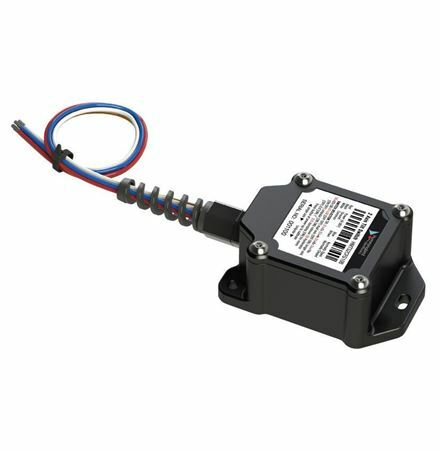 Hummingbird Electronics' 2 Axis Tilt sensor is a 1 degree sensor operating on RS485. It is predominantly designed to be used with the HMDS1000B inclinometer but can be used as a sensor in any RS485 capable system. Hummingbird Electronics' tilt-switches measure pitch and roll angles with high accuracy by measuring the earth's gravitational field with a three axis accelerometer. When used in combination with the Inclinometer (Slope Meter), accuracy of one degree and customisable frequency response are achievable. Designed for harsh industrial environments, the tilt sensors are supplied in a rugged aluminium enclosure that is splash-proof. Provision for screw mounting when required is provided. Power to the unit and outputs are provided through colour coded wires that are terminated with a 4-pin Deutsch DT style connector. The tilt sensor is shipped with 7m of cable and is ready to be plugged directly into the HMDS1000B inclinometer.